I've just arrived in Prague and was walking to the restaurant when I heard people fighting. I was about to turn my head to see what happened when I heard a very loud voice of metal thing crashed behind my body. I jumped in shock to find out a big metal signboard lying just 30 cm from my feet. Apparently a homeless man was furious because he didn't get money from the shop owner, he threw the signboard and almost hit me. Wow ! Such a warm welcome. I've heard that Prague is not the safest city but I didn't expect to prove it within 5 minutes after I arrived. My local guide showed me the narrowest street in Prague which is in Little Quarter area. I found it interesting because it's so narrow that they put a traffic light there to avoid people colliding. The stairs are steep and goes from U Luzickeho seminare street to the Certovka restaurant, offering nice view of Charles Bridge. Astronomical clock is one of the icon of Prague, which was first installed in 1410, making it the third-oldest astronomical clock in the world and the oldest one still working. 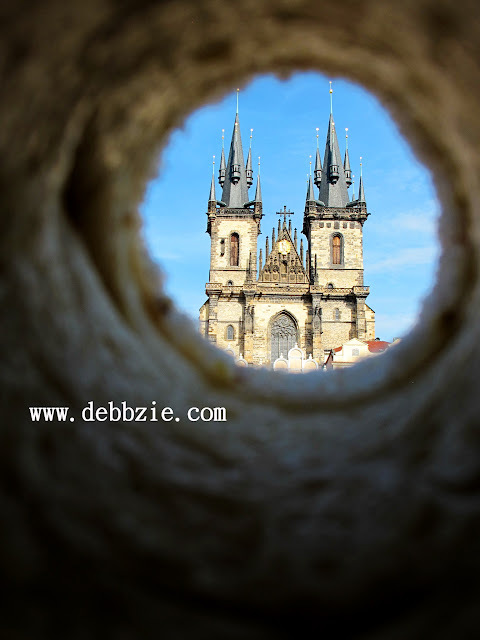 The Old Town Hall Tower, built in 1338, is one of the most striking buildings in Prague. Inside is a staircase and an elevator. For a fee, visitors can climb or ride to the top to experience terrific views over the Old Town Square and the rest of the Old Town. Old Town Square is one of the most touristy place in Prague. I've been told that it's very crowded every single day. There were some traditional food stalls when I was there. I noticed one of the stall were roasting some huge chunks of pork that looked and smelled delicious. The meat tasted like salty smoked ham and was served with bread. 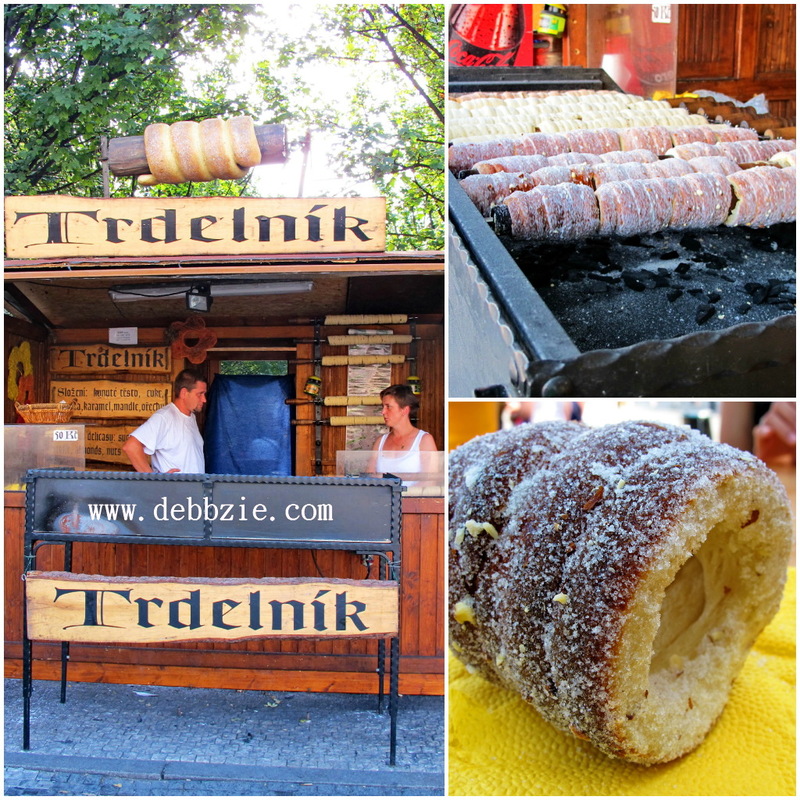 I also tried Trdelnik pastry which is sweet and the texture is flaky like puff pastry. 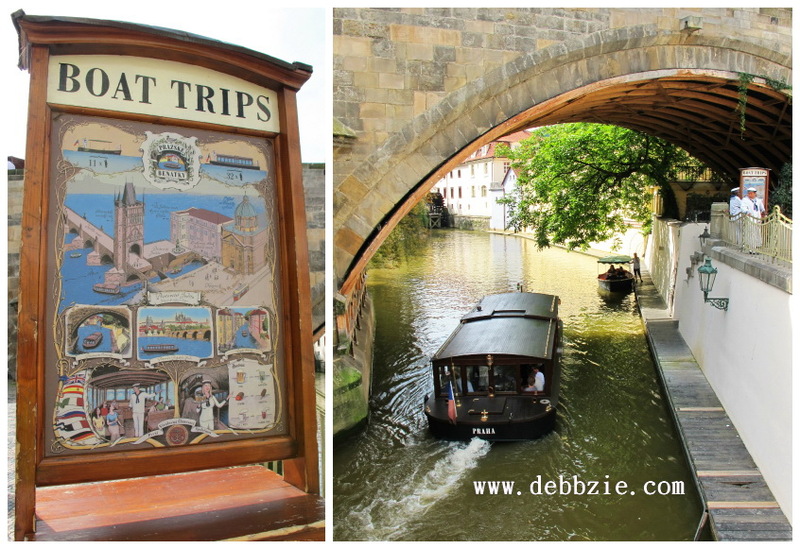 With a happy tummy, I spent some time wandering the old town before going back to the hotel. I think Prague is really pretty city with so many historic and medieval buildings. Your camera memory card will need a lot of spaces because there are so many beautiful things to capture. 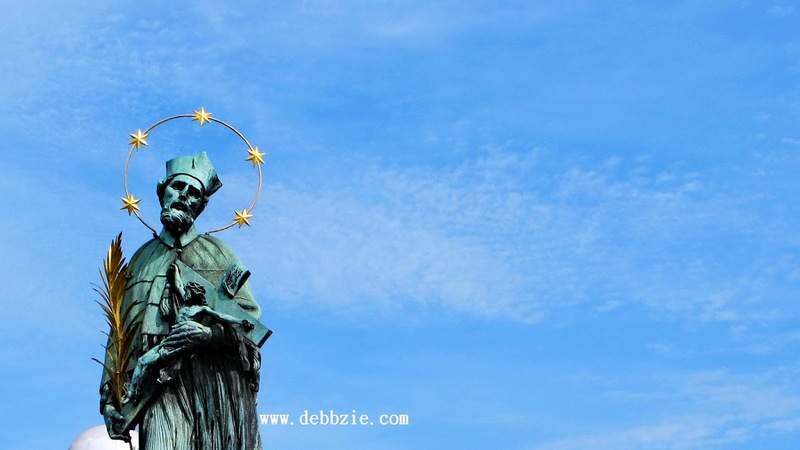 Would you like to visit Prague one day ? Great photos! Isn't the Charles Bridge gorgeous? I love that city! Have you gone garnet shopping yet? Wowwww, great photo! especially "night view at Wenceslas Square"!! Haven't been here yet, but someday I will!